The Hazard Removal and Vegetation Management Project Programmatic Environmental Assessment streamlines vegetation management and removal of hazardous trees. SACRAMENTO, Calif. – In advancing the Department of the Interior’s commitment to reduce wildfire risk, the Bureau of Land Management on Friday released its Hazard Removal and Vegetation Management Project Programmatic Environmental Assessment (EA). 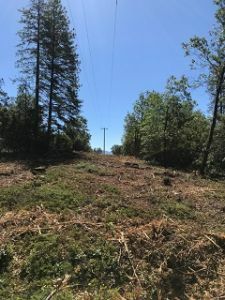 This assessment covers approximately 551,000 acres of BLM-managed public land in central and northern California and streamlines the process for right-of-way holders, utility companies, and counties to treat vegetation and remove hazardous trees within 200 feet of critical infrastructure to reduce wildfire risk. Drones Are Airplanes: Check Your Insurance Policy! Virtually every businessperson knows that he or she needs insurance to protect their enterprise. Most are even aware that insurance is not “one policy fits all.” They have auto insurance to cover their vehicles and drivers, workers compensation insurance to cover workplace injuries, and comprehensive general liability or professional liability insurance to cover the work that is done. However, it appears that many do not realize that if they use unmanned aircraft, there is likely a hole in their insurance protections. 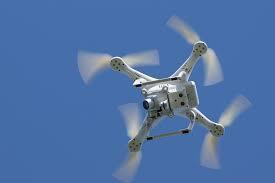 Read more: Drones Are Airplanes: Check Your Insurance Policy!